The identity of the large, unusual wolf-like creature shot last month in Montana has been revealed. Turns out, it was just a gray wolf. The internet was swirling with speculation after the mysterious furry animal with short legs and big ears was shot by a rancher near Denton, Montana. Was it some kind of bear? A large dog breed? Or some never-before-seen combination? This undated photo provided by the Montana Fish, Wildlife and Parks shows a wolf-like animal that was shot on May 16, 2018, after it was spotted in a private pasture with livestock near Denton, Mont. 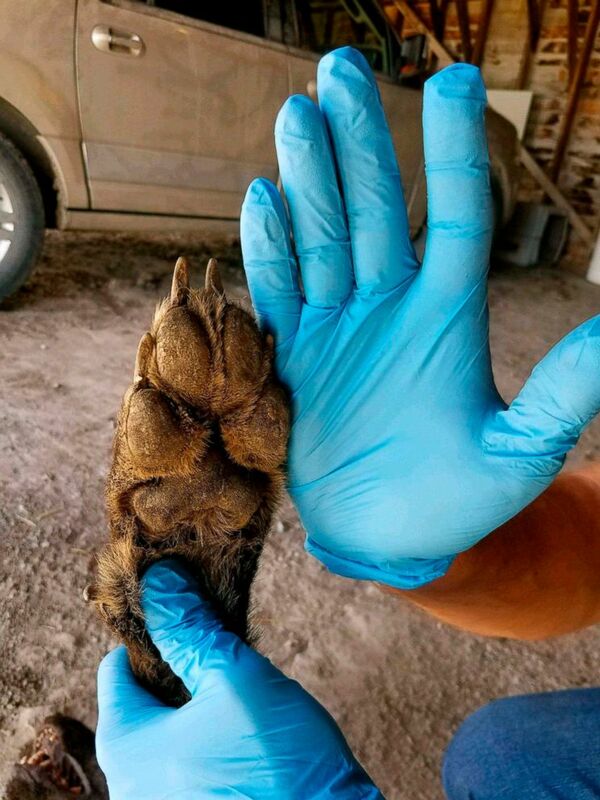 Montana wildlife officials said in May that the animal could not be a wolf because its front paws and teeth were too small. DNA from the mystery animal was compared to thousands of other samples from wolves, coyotes, and dogs by the U.S. Fish and Wildlife Service forensic laboratory in Ashland, Oregon. They concluded that it was, indeed, a wolf -- a female between 2 and 3 years old. The wolf was 45 inches long and weighed nearly 85 pounds. 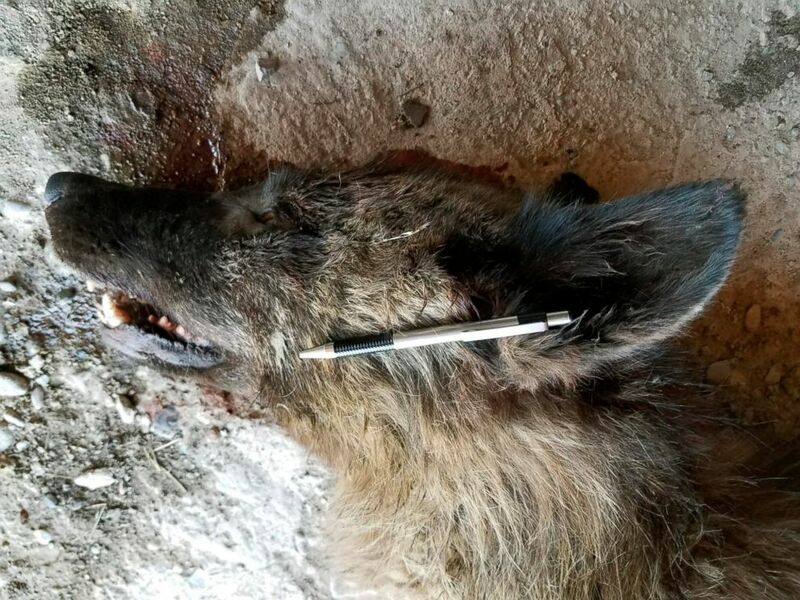 This undated photo provided by the Montana Fish, Wildlife and Parks on May 25, 2018, shows a wolf-like animal that was shot on May 16, 2018, after it was spotted in a private pasture with livestock near Denton, Mont. Any physical differences shown in this wolf are not unusual, according to Mary Curtis, geneticist for the U.S. Fish and Wildlife Service. Any unique features might also appear in other wolves in the area, passed on by the family of the animal shot last month. Wolves are common in Montana, and property owners have the right to shoot wolves they feel might be a threat to their livestock.